Summary: Landlords needs to understand the legalities of the property ownership business. Failure to do so often lands them in a legal mess. To be a successful landlord, you’ll need to understand the various aspects of the business. First off, you’ll need to comprehend the laws and regulations of your state so you avoid making a trip to your lawyer’s office. Many landlords fail to address certain needs and end up in legal hot water. 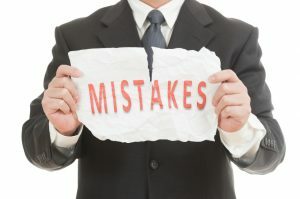 Here are some common mistakes that you can easily avoid. Tenant screening is one of the best ways to ensure that you’re bringing in the right person. However, by making poor decisions, such as asking the wrong questions during the screening process can be illegal forms of discrimination. For instance, if you’re asking a disabled person about his or her disability, it can actually get you into legal trouble. Furthermore, if the applicant does not get the rental but notices that your questionnaire is teetering on the wrong side of the law, you can get hit with a fair housing complaint. It’s illegal to discriminate against families and you don’t want to get involved with anything closely related to this. Excluding families because you don’t want children is illegal. While you are essentially allows to limit the number of residents in a single unit, you are not allowed to apply that standard differently when dealing with families. The cost is high and can lead to some severe consequences. Owning property is an exciting business endeavor. There are numerous benefits to being a landlord, especially with the potential for a large passive income. However, don’t make the mistake of making enthusiastic promises without thinking of fulfilling them. A tenant that feels ripped off may break the lease and sue you for the difference in value – depending on the amount of damages. It’s always best to be safe than sorry – especially when it comes to promising tenants things. While the utilization of late fees can be a strong motivator for tenants to pay their rent on time, it’s also a dangerous tool if used improperly. While a higher fee can be a better motivator, some landlords tend to cross the line by setting fees that bear little resemblance to the actual damages that the tenants have suffered from. It’s better to set a modest late fee that relects the true damages as opposed to raising the fee to an unreasonable amount. Blog submitted by Instant Background Checks: Tenant Screening Services, LLC can help provide you with all the tools you need for your employment screening process. Give them a call today.